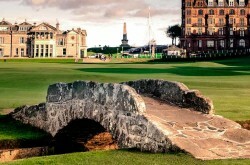 Ireland is regarded as one of the best golf destinations in the world with its vast number of spectacular golf courses. The north boasts Royal County Down and Royal Portrush which will host the 148th Open in 2019. The south west is home to Old Head, Waterville, Lahinch and Ballybunion amongst many others whilst the Dublin area features Portmarnock, The K Club and The European Club. Our Links Golf Ireland Golf Tours are all fully customised however we have a selection of Sample Tours here should you require some inspiration. 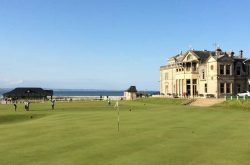 Please use this section to navigate through Links Golf St Andrews’ selection of the finest golf courses and accommodation options throughout Ireland. 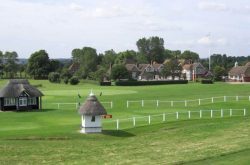 There are many, many more great golf courses that our clients have enjoyed – perhaps the less widely known courses, the more hidden treasures. The properties chosen are those that our clients seem to especially enjoy but there are many more that we are pleased to recommend. 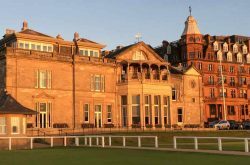 Our team of Golf Travel Consultants will assist you to select courses to play and places to stay that will be just right for you. 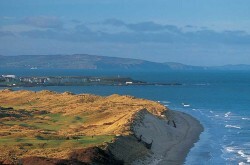 Ireland’s most westerly course, Carne is well worth a visit for golfers in this area of Ireland. Set in magnificent, unspoiled dunes, with views out to Blacksod Bay and the Atlantic Ocean, the elevated tees and plateau greens exploit this course’s lovely natural setting. The last links course to be designed by Eddie Hackett, this is considered by many to be his finest. Be wary of deceptively tricky doglegs and lurking bunkers on this challenging links golf course. Practice Facilities: Practice area and putting green. Dress Code: Appropriate golf attire. Shorts are permitted. The Distance Index Map shows the locations of some of Ireland’s greatest golf courses and gives an approximate distance in miles by road from Dublin. For example, County Louth is approximately 31 miles from Dublin and Royal Portrush is approximately 165 miles from Dublin.